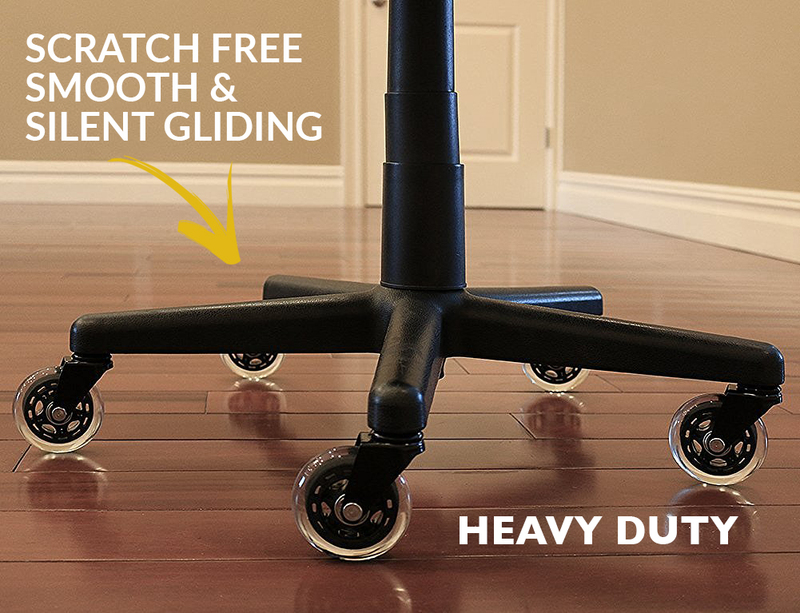 UNIQUE SCRATCH FREE DESIGN – Stop damaging your floors with low quality desk chair wheels. These replacement rubber chair casters wheels are guaranteed not to scratch or leave marks on any surface including tile, carpet, and hardwood floor. 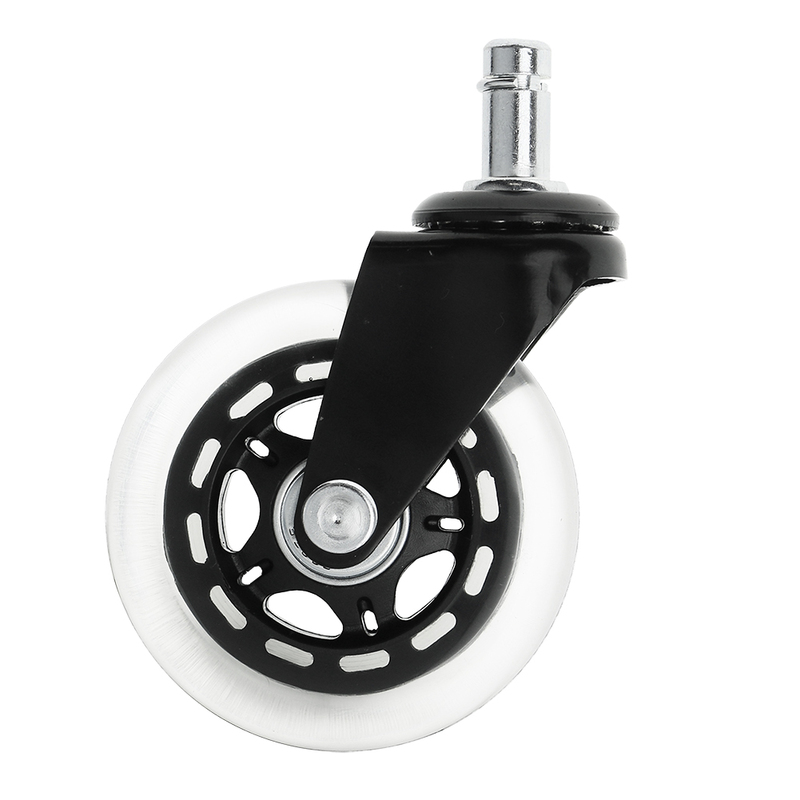 Great rolling chair wheel for hardwood floor and all other floors.You’ll just love these casters for chairs.Get these casters for office chairs and you don’t have to be stuck to your office chair mat. 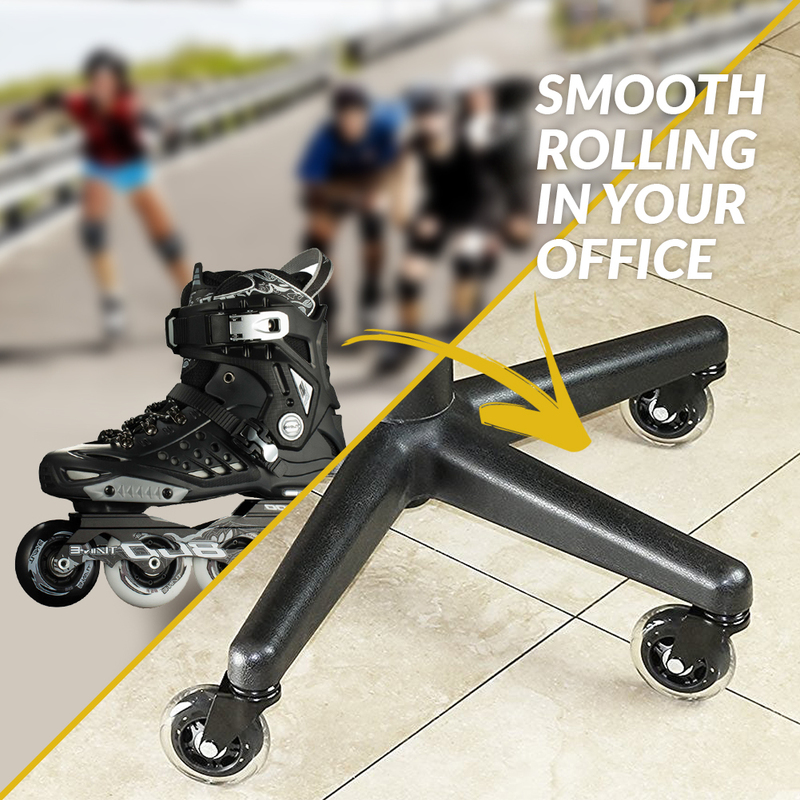 ENJOY SMOOTH & QUIET GLIDING – These rubber replacement office chair wheels will relieve the stress of rolling on your office chair. Never get frustrated again. Let smooth gliding be the new normal! Just glide from lower to higher surface with ease. 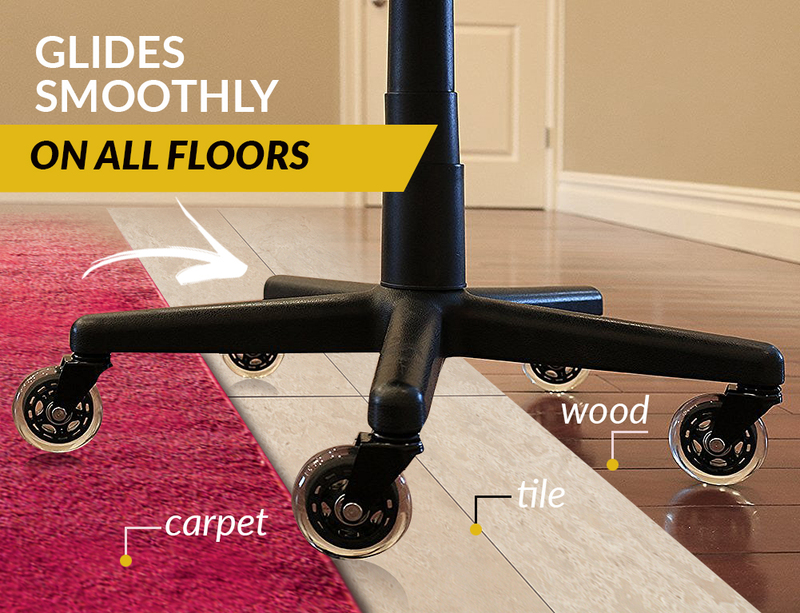 Roll from hardwood floor to carpet with ease. 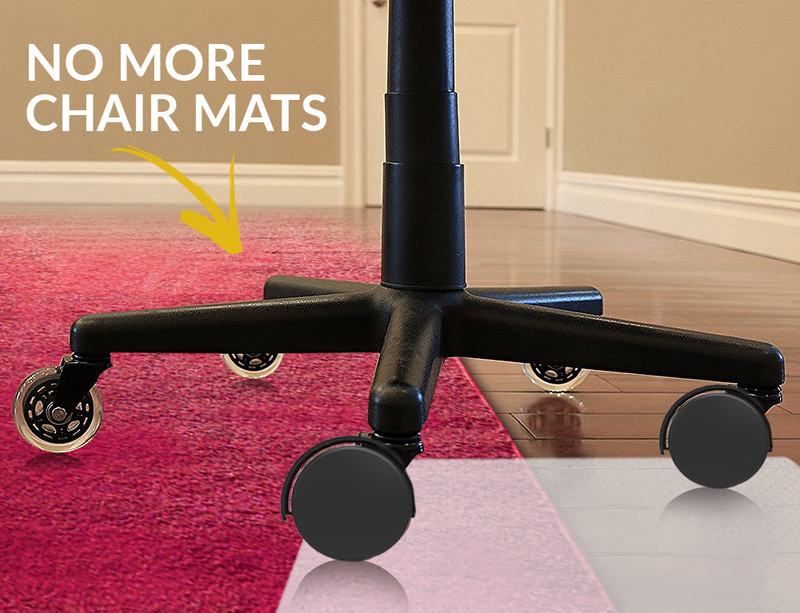 Get rid of the squeaky plastic and metal office chair casters.Get rid of your office chair mat. HIGH QUALITY – The caster wheels heavy duty rubber design supports up to 650 lbs as a set of 5, the strongest office chair wheels on Amazon. 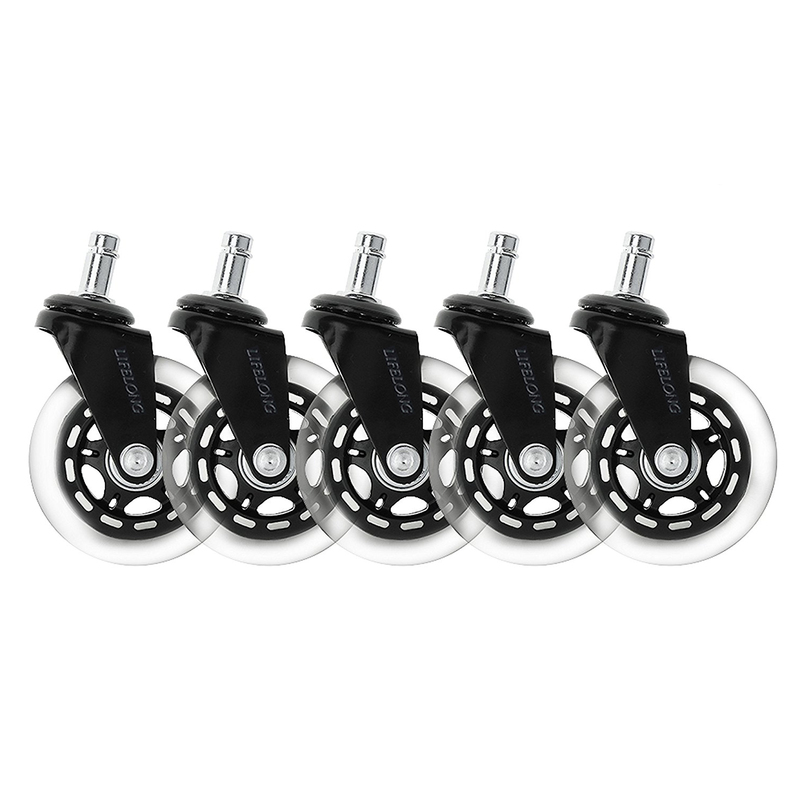 (If used as a set of 4 replacement caster wheels then supports 520 lbs).Don’t settle for the junky chair casters wheels that looks the same get the brand name that will last you a lifetime!! !